Today's article comes from Frank Giglio, a chef whose cooking experience is deeply connected to the earth. He ties in herbalism and wild food foraging into his cooking to create dishes that are wholesome and full of vitality, with the aim to have a small ecological footprint while doing so. Not only does he cook, he also educates on culinary techniques and traditions, helping families create nutritious foods and medicines. Since we often post healthy recipes and articles about herbalism, Frank's work is something we thought would really speak to you. 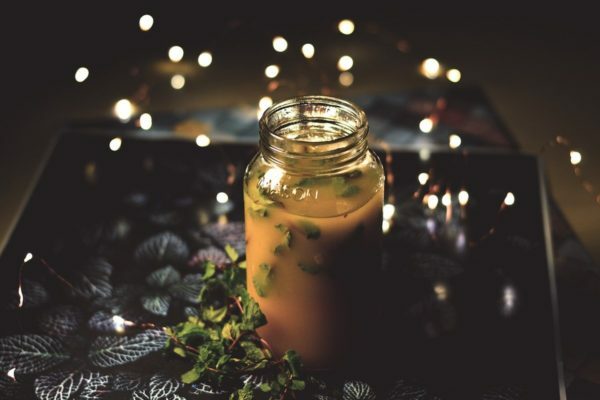 This article is focused on the health benefits of bone broth, but he also has an entire course on herbalism, in addition to his super cool cookery club that helps to deepen your culinary skills and homesteading knowledge. From day one, we learned the importance of stocks, not so much because of their nutritional profile, but for the rich, flavorful base they provided for soups, sauces, and various other recipes. Bone broths have long been revered for their health benefits. Chicken soup was a regular dish served up by my grandmother and as a child, broth was always served when I feeling ill. Thankfully, this nutritious liquid is still regarded as promoting good health—current dietary trends have blown up broths! Loaded with amino acids and minerals, bone broths are a valuable attribute to a healthy and fully functioning immune system. By simmering bones for long periods of time, gelatin is extracted, which promotes better digestion. What is a Bone Broth? Similar to stocks, bone broths can be made with just bones, or a soup bone (which has a bit of meat attached). Bone broths are typically simmered for longer periods of time than stocks, sometimes upwards of 48 hours. The result is a deep, rich broth with gelatinous properties. The long, slow simmer pulls as many minerals and nutrients as possible from the bones. In some cases, especially with chicken, the bones will be crumbly once the simmer is complete. Stocks mineralize the body, strengthening your bones! The average American, with regard to consuming animals foods, largely utilizes lean muscle meats over organ meats, skin, and connective tissue. This is due to the modern convenience of prepackaged-portioned cuts of meats that are stocked in grocery stores. Most families are no longer eating a farm-to-table or nose-to-tail diet which was previously the norm for cultures all over the globe. Eating lean muscle meats to the complete or near complete exclusion of organs, skin, cartilage, marrow, etc., supplies the diet with an unhealthy balance of amino acids. One in particular, methionine, when received in large amounts (relative to other amino acids, like glycine), can promote IGF-1, which in turn can support the growth of cancerous cells in unhealthy individuals. Supplementation with glycine (or simply eating snout to tail) balances these amino acids out and helps prevent this process. While omnivory with solely (or mainly) lean muscle meats is purported to promote cancer over a strict vegetarian diet, omnivory that fully utilizes the animal (as in hunter-gatherer diets) is known to produce almost no cancer, even in old age. For today's post, I am referring to grass fed beef bones, although wild game, lamb, or poultry carcasses can also be used with great success. For a rich and deep flavor, roast the bones in a 375°F oven until nice and brown. Grass fed bones are more nutritious than those sourced from factory farms or grain fed animals. While choice cuts of grass fed beef can be expensive, grass fed bones are very inexpensive ($5.00/lb) and at times, may be given away from your local butcher or farmer. Although I never learned this in culinary school, unpasteurized apple cider vinegar should be considered an essential ingredient in a bone broth recipe. With a low pH, the vinegar acts as a solvent, helping to pull calcium and other minerals from the bones as it slowly simmers on the stove top. We are fortunate enough to have a high quality, locally produced apple cider vinegar. Sewell Orchard is located just south of us in a small town along the mid coast of Maine. His organic vinegar is unpastuerized and is aged for a minimum of 2 years. I have been using this vinegar for several years now and use it in a variety of ways. It rare for me to specifically purchase vegetables to put into my stocks and broths. Instead I continuously save my scraps in the freezer until I’ve gathered enough to put into a stock. Onion peels, chunks of tomato, leek tops, and bits of celery add great flavor and aroma to the stock. Keep a produce bag on hand and collect bits and pieces of vegetables and freeze them up until you gather 4-6 cups worth. Be mindful to avoid members of the brassica family, as they will impart an unwanted bitter flavor. Since moving to Maine, sea vegetables have become an integral addition to my stocks, broths, and diet in general. An abundant and sustainable resource, sea vegetables are loaded with vitamins and minerals and help build on an already nutritious broth. With the added bonus of being a wild food, sea veggies like kelp, wakame, and kombu impart a deep earthy flavor that I strive for when making broths. Kelp is a vigorous plant, can grow several feet in a day, and is my go-to sea vegetable to add to bone broths. This brown algae is high in iodine, making it a good resource for assisting a properly functioning thyroid. 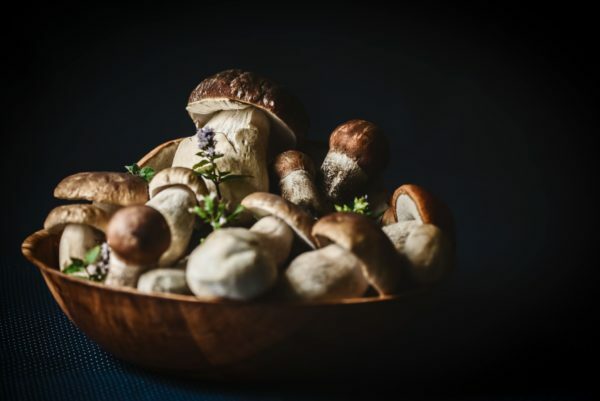 A TED talk by mycologist Paul Stamets suggests that mushrooms can play a role in restoring our ecosystems and helping us fight off illness and disease. Polypore mushrooms like chaga, reishi, and turkey tail make for excellent additions and can be foraged in many parts of the world. In addition to everyday culinary herbs like thyme, and parsley, medicinal herbs like ashwagandha, astragalus, fresh turmeric, nettle root, and ginger regularly go into my homemade stocks and bone broths. They provide a host of benefits, from supporting the immune system to working as adaptogens in the body. But these dense roots require boiling or long slow simmers to extract their water soluble nutrients. You can find these herbs in your back yard, surrounding local forest or from various online retailers. Bone broth is a great delivery system for using herbs, and makes consuming them savory and delicious. Preheat the oven to 375°F. Place the beef bones onto a sheet pan. Roast in the oven until well browned, drain the fat, then transfer over to a heavy bottom stock pot. Add the remaining ingredients, including the vinegar. Pour in 1 gallon of cold water. Let stand for 10-15 minutes before gently raising the heat, and bring the water to just under a boil. Lower heat and simmer for 4-24 hours. While simmering, skim off any discolored foam that rises to the top. Remove pot from the stove and carefully strain through a cheese cloth of fine meshed colander. Cool the stock immediately in an ice bath; then store in a glass jar, in the fridge. 8 Use within 3-4 days or freeze in appropriate containers. This article was contributed by Frank Giglio, who wears many hats. At age 15, he fell in love with the fascinating world of food. Eager and intrigued, he began apprenticing directly under some of the top chefs in the US, who instilled him with a deep understanding of the creative process in working with food. He became a classically trained chef at the New England Culinary Institute in Montpelier, VT. Years later, he went on to graduate from The Institute for Integrative Nutrition in NYC, a program that would provide Frank with a more well-rounded, holistic approach to cooking. While Giglio’s culinary offerings are based in classic technique and traditional foods preparation, he has also been immersed in using food as medicine. Wearing his chef’s hat, he focuses on sustainable cuisine, seeking the highest quality foods grown locally and harvested in season, supporting the crucial farm to table method of preparing food. He loves teaching people to cook with medicinal foods. 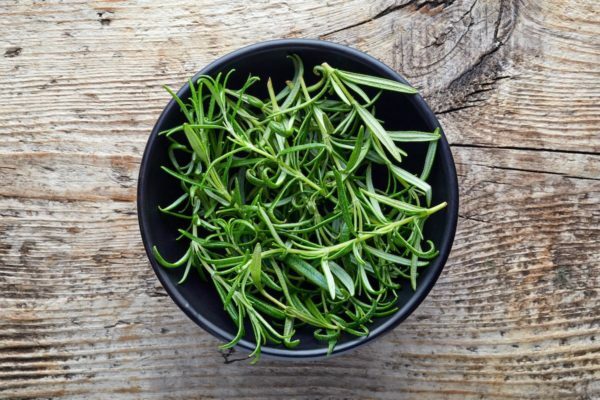 His apothecary program focuses on herb infusions and his cookery club is a great option if you want to really hone your cooking skills and deepen your homesteading knowledge. Check out Frank's Cookery Club here. Which herbs do you add to your bone broth recipe? Let us know in the comments below! I have never roasted my beef bones before making the stock though. Is there a health benefit to roasting them? And I will be trying the raw cider vinegar next time. Hi – I am in a quandary about adding vinegar. My reasoning is that if it dissolves/leaches the bones in the broth, might it also do that to my bones? Can those who don’t eat meat substitute fish bones? Do they have the same properties as bones and will they provide the same health benefits? and wild asparagus in my area. Can I add some to the bone broth or is it irrelevant ? I also find cornouilles berries (like ovoid small cherries,):at the end of August from the tree cornuus mas on the hill behind my house and I don’t know what to do with them or how to use them except eating some raw. As for nettle root, can I use nettle root from the ancient (16/17th century) wild area of my garden ?